Having Temperance Brennan for a great-aunt comes with a few perks—including an invite to the famous forensic anthropologist's book signing at Comic-Con. But while Tory and the Virals are taking in the legendary convention in all its nerdy glory, a priceless Terminator robot is stolen from the crowded exhibition hall. When the bot-napper threatens to destroy it unless a hefty ransom is paid, Tory leaps at the chance to help her aunt Tempe with the investigation. Subtle clues lead the Virals into all the weirdness that Comic-Con has to offer—strange costumes, ferocious mock battles, and fanboy geekdom beyond their wildest dreams—but the Terminator seems to have vanished without a trace, and the clock is ticking. 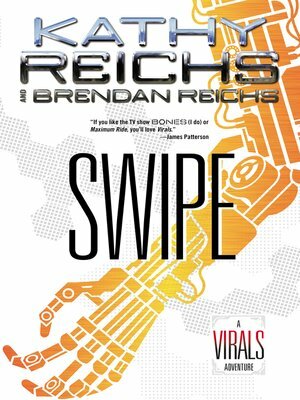 Can the Virals identify the thief and locate the missing robot before it's too late? In this gripping eSpecial, Tory and the Virals prove once again that no crime is unsolvable when the pack is on the prowl.